Do you want your work to matter? Do you want to use your skills to make a difference, not just a living? Do you want to improve millions of lives, including your own? Six million children die each year from diseases like malaria, diarrhea, and pneumonia. Living Goods thinks this is unacceptable. That’s why we work worldwide to improve community health. We alleviate the shortage of doctors by training community health workers. Community Health Workers who deliver lifesaving medicines to people’s doorsteps, prenatal assessments for pregnant women and well-baby and toddler visits, and treat common illnesses. We also empower community health workers through mobile phones. We teach them how to detect and treat common illnesses. We develop smart phone apps to guide home visits and create predictive algorithms to make the best use of community health workers' time. And we test new cool tools like paperless referrals to clinics and biosensors to monitor infant and child growth. Three years ago, Ebola swept through Sierra Leone, infecting 14,000 people and killing 4,000. Community health workers played a vital role in halting the outbreak by identifying people with symptoms and educating families on infection prevention. The Ministry of Health & Sanitation has since adopted policies to strengthen their community health program further. We want to join them in this quest. Our tech team will provide mHealth tools to improve data collection and community health worker effectiveness. Our procurement staff will help Ministry of Health staff develop systems to ensure that high quality products and medicines are in stock. Our health teams will conduct management and continued health education seminars. In a country with poor network connectivity, limited electricity and a weak rural healthcare system this is not going to be easy. That’s why we need you. We’re looking for a commander in chief for our operations in Sierra Leone. Someone to lead a smart and savvy team of operations and technical experts. 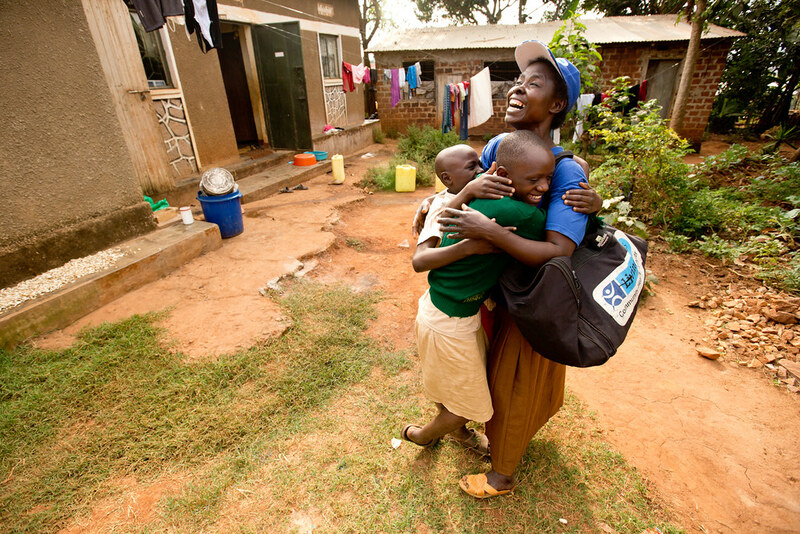 To apply lessons learned from our work in Kenya and Uganda to Sierra Leone. To support the local Ministry of Health in strengthening the community health system. Serve as Living Goods’ biggest community health advocate in Sierra Leone. Drive strategy. You will develop the blueprint to help the government transform community health in Sierra Leone. Your blueprint will apply the key lessons from Kenya and Uganda to Sierra Leone. It will include a history of the current community health system, strengths to build on, gaps to fill, and goals for improvement. Manage operations. You will oversee the two most important ingredients of success: people and purse. You will set up the systems to manage human resources and the hiring of local operations staff. You will guide a team of public health experts, government relations and advocacy professionals, trainers, and technology gurus. Your collaborative management style will enable you to help team members to feel valued and encourage each of them to learn, grow, and thrive in their work. In addition to your team, you will oversee finances for the Sierra Leone country program. Develop alliances. You will develop a rock-solid partnership with the Ministry of Health. You will also build new relationships with institutional funders and other community health stakeholders in Sierra Leone. You will collaborate with NGOs and other organizations on community health policies and programs. Promote Living Goods. Maintain strong relationships with leaders in government, NGOs and donors. Raise Living Goods’ visibility at conferences and meetings and identify opportunities to showcase Living Goods’ work nationally and globally. Secure funds. Work with business development staff to identify, track and coordinate responses to funding opportunities. You will also help develop partnerships that lead to new funding. Lead with integrity. As the leader of our organizational culture in Sierra Leone, you will create a positive and productive workplace. One that values hard work, feedback and continuous improvement, inclusion and commitment to our work and working with teams in Uganda, Kenya and the US and other countries where we work. Empowering micro-entrepreneurs to deliver life-changing products to the doorsteps of the underserved. African Leadership. You have at least 10 years’ experience leading systemic change, managing people, budgets and working in global companies or international organizations. Ideally, you’ve lived and worked in Anglophone West Africa, preferably Sierra Leone. You have an MBA, MPH, MD or other relevant post-graduate degree. Public health experience preferred. Initiative. You are a successful entrepreneur or have overseen start-up country operations for an NGO, social enterprise, or for-profit company. A strategist. You are a quick thinker, laser focused and clear decision maker. You have a strong interest in private-sector approaches to development and a proven ability to produce results. You are able to break goals into manageable objectives and to work with a team to meet Key Performance Indicators. Management creds. You have managed teams of 20+ and annual budgets of $2 million+. You are able to inspire a shared vision for the Living Goods team in Sierra Leone. You know how to motivate and guide people. Natural fundraiser. You have experience identifying funding opportunities like results based financing or insurance schemes, or securing funds from foundations and institutional donors like USAID, DfID, and The Global Fund. You are able to spot trends and keep the Living Goods’ global executive team informed about community health needs and opportunities in Sierra Leone. Connector. You have strong ties to people in Ministries of Health, NGOs, and/or international donors. You are able to build and sustain relationships with new leaders in the Sierra Leone Ministry of Health and nongovernmental organizations (NGOs). You are able to identify new donors and partners for programs. Gets our model. Living Goods is a hybrid model. We’re a nonprofit organization with a business minded approach. We use business practices to achieve social goals. Candidates with for-profit and nonprofit experience preferred. Lives our values. You can thrive in our culture – you can demonstrate inclusion, integrity, innovation, quick footedness, collaboration, and accountability. Living Goods is an equal opportunity employer and will consider every qualified applicant for employment. Living Goods does not discriminate based on race, ethnicity, national origin, ancestry, religion, gender, sexual orientation or disability. Our current job openings are displayed on our website, where you can search for open positions and apply directly. Living Goods does not offer any positions without an interview and never asks candidates for money. If you are asked for money, we strongly recommend that you do not respond and do not send money or personal information.